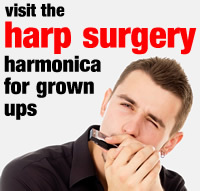 If you would like some friendly advice on purchasing your harmonica, please feel free to contact us. Please note that prices include free delivery to students at our client schools, but do not include the cost of mailing nationally, or internationally. We are happy to confirm the additional cost of carriage on request. There is no need to log in when making lesson payments or ordering kit in our Store. Simply add items to your cart and check out using a credit/debit card. When making payment by PayPal, please remember to indicate who your payment is for! With 4 widely-spaced holes, the Speedy harmonica is ideal for first timers; particularly those in Reception Year and Years 1 and 2 (KS1). The Speedy comes in the key of C Major with its own music lesson printed on top and a choice of colours: blue, black, yellow or pink. Let us know your first and second colour preferences when ordering. 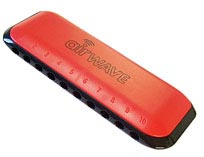 The 1o hole Airwave is the ideal instrument for children from Year 2 to Year 6 (KS1/KS2) who have outgrown their 4 hole Speedy, but are not quite ready for the smaller hole spacing of a standard 10 hole harp. The Airwave comes in the key of C Major and a choice of red, orange or blue. Let us know your first and second colour preference when ordering. The 10 hole Silver Star is an ideal first harp for those who are ready for intermediate playing. The holes are standard gauge, which promotes rapid movement around the instrument, while the standard harp size means easier use of hand effects. The Silver Star is supplied in the key of C Major, but can also be ordered in D, E, F, G, A, and Bb. The Blues Bender is a step up from the Silver Star both in quality and price, but still easy on the pocket. 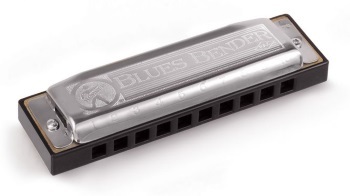 It won’t make you an instant blues harp expert or provide a short cut to reed bending, however it will certainly make the journey easier. The Blues Bender is more airtight, has better tone and is more responsive than the Silver Star and other budget 10 hole models. It comes with a standard UPVC comb with a big sound. The Big River comes in C Major, but can also be ordered in D, E, F, G, A, and Bb. The Big River is a cost-effective and very reliable transitional harp. More airtight than the Silver Star, but less expensive than other 10 hole models, it comes with a standard UPVC comb and a big sound. The air channels are standard gauge, which promotes rapid movement around the instrument, while the standard harp size means easier use of hand effects. The Big River is supplied in all major keys. 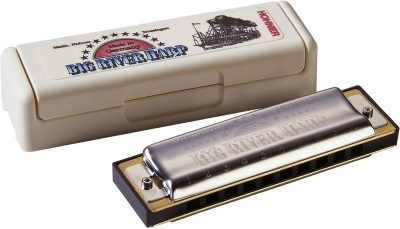 The Special 20 has been a mainstay for harmonica players for nearly forty years. With airtight reed plates and a black UPVC comb, this harp is beautifully responsive, with a warm tone. A definite upgrade! The channels are standard gauge, which promotes rapid movement around the instrument, while the standard harp size means easier use of hand effects. The Special 20 is supplied in all major keys. 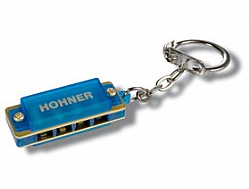 The Hohner Marine Band is the original blues harmonica. Its pear wood comb and pinned cover plates have been standard issue for decades and its warm tone is behind many classic original blues and country recordings. 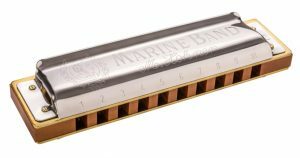 Later Hohner models were developed from the Marine Band, which took its name from John Philip Sousa’s famous military ensembles. The channels are standard gauge, which promotes rapid movement around the instrument, while the standard harp size means easier use of hand effects. The Marine Band is supplied in all major keys. The Rocket is a new addition to Hohner’s range. It’s comfortable, responsive and loud! The Rocket’s air channels are turbo designed in an attractive new grey UPVC and the cover plates, which are attached by two Phillips screws, have wider side vents for sound projection. The Rocket makes a great present for any special occasion and is supplied in all major keys. The 10 hole Crossover is our recommended harp for serious players. It’s top of the range and the harp of choice for many professional players. Ideal for birthdays, Christmas or as a special treat, the Crossover is endorsed by top professional players such as Steve Baker and Joe Filisko. What makes the Crossover such a hit is its watertight comb, made from bamboo, clarity of tone, air-tightness and excellent performance response. The holes are standard gauge, which promotes rapid movement around the instrument, while the standard harp size means easier use of hand effects. The Crossover is supplied in all major keys. Yes you can play it! The 4 hole Hohner Little Lady is the original ‘smallest harmonica in the world’ made from hard wearing pear wood and metal. This was the first musical instrument to travel into space! The Little Lady is in the key of C Major. Also in the key of C Major, the 4 hole key ring harp comes with durable plastic cover plates in a choice of colours: blue, yellow, green or red. Let us know your first and second colour preference when placing your order.